Well it is that time of year. Tomorrow school goes back in Australia after 6 weeks of summer holidays. You can hear the collective sound of cheering from mums all around! Me I’m not so happy. I have really enjoyed having my son home these school holidays. He has been really good and I have enjoyed my time with him. He on the other hand is excited to be heading back to Kindy. It’s also very bitter sweet for me. It is his last term at Kindy as on the 29th of April he starts school. Where did my baby go. It seems like it was only yesterday that he was born. He is of course very ready for school and very excited. He will be going to the primary school that I went to when I was little and there are still a few teachers there from when I went there over 15 years ago. It’s a great little school. Only around 300 students. A few of his kindy friends will also be going to that school so he will have some friends there already. But I still do have 12 more weeks where he only goes to kindy 2 days a week so I am looking forward to spending heaps of time with him before he heads off and becomes a school boy. Any others out there who have a child starting school or kindy? How do you plan on coping with it? 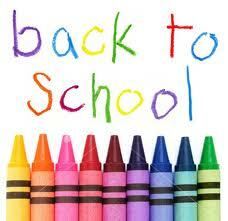 We are back to school tomorrow too. It has been pouring rain here for days. So it looks like it will be wet weather lunches and no outside play for us. Not a great way to start the year. The kids will be climbing the walls.